Children and war - in 60 seconds Jump to media player Children bear much of the brunt of global conflict, particularly in places like Syria. BBC News explains the extent of the problem, in 60 seconds. Three images that defined migrant crisis Jump to media player The migrant crisis in Europe dominated headlines for much of 2015 - BBC Newsnight traced three migrants who featured in the news over the past year. 'A century of exile and homelessness' Jump to media player World Affairs Editor John Simpson looks back at one hundred years of mass migration. Refugee girl 'so happy' at US soap tribute Jump to media player A teenage refugee has expressed her delight after a US soap opera filmed a special scene in her honour. Syrian refugee's thanks for soap wish Jump to media player Syrian refugee Noujain Mustaffa expresses her delight after a US soap star filmed a special scene in her honour. Disabled Syrian teenager's journey across borders Jump to media player The BBC's Fergal Keane meets Noujain Mustaffa, a 16-year-old disabled girl from Kobane in Syria, who is making the long journey to a new life through Croatia with her sister. About 16 million children were born into conflict in 2015, Children in Need says. 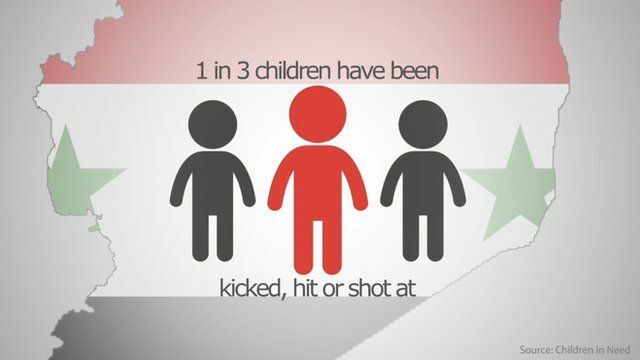 Children bear much of the brunt of global conflict, particularly in places like Syria. BBC News explains the extent of the problem, in 60 seconds.